Taking and incorporating feedback from you, the parents. 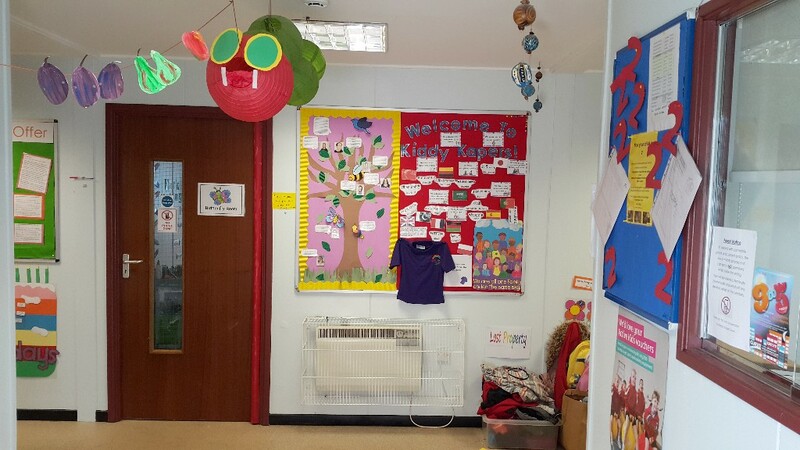 Kiddy Kapers Daycare has been established since 2007 and operates from a single storey modular building, located in the grounds of Glenmere Community Primary school in Wigston. We pride ourselves in being a small family run setting where we try and ensure we have a personal approach with all of the parents and children that attend our setting. The nursery setting is open Monday to Friday for 51 weeks per year and cares for children from 6 weeks to 11 years between the hours of 7.30 am and 6.00 pm. The children in our CareClub, aged 4+ to 11 years of age, primarily attend before and after school and during school holidays. We also offer care for children with Special Education Needs. We have a couple of children under Speech and Language Therapist and also cater for children with English as an additional language. We also have strong links with St John Fisher Catholic Primary School as some of our pre-school children feed into their 4+ Unit and we operate a CareClub walking bus from the school to our setting on a daily basis. We have a clear admissions policy that does not discriminate any child or their family. The setting takes children on a first-come-first-served basis.